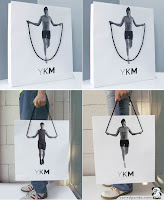 · Bags: For those that provide bags with your purchase or even at trade shows, think outside the box. 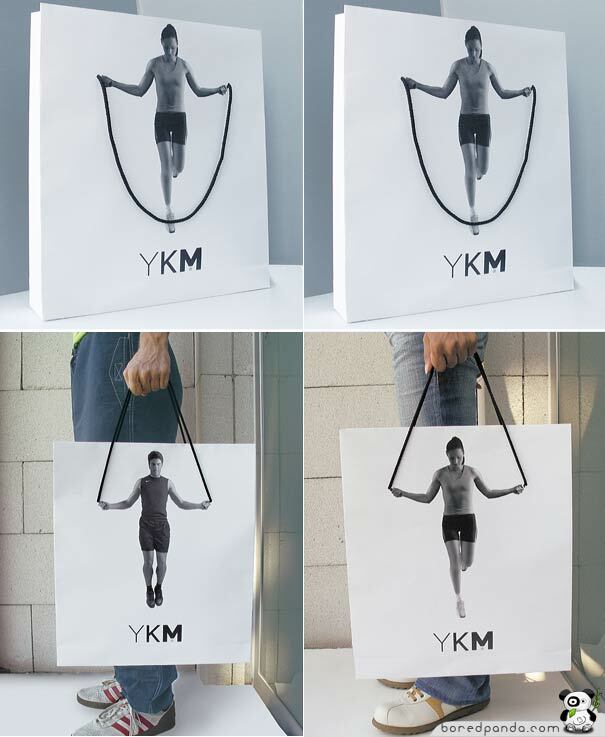 Here are a few creative ideas that are being used in Europe (to see more, click here). · Business Cards: Capitalize on your business card real estate. Utilize the back of your business cards to market your business (QR codes, recognize a promotion, highlight key services/products, etc.). · Videos: People are visual. Use video at trade shows, on your website or in presentations to provide a memorable way to communicate key messages. · Direct Mail: Make it stand out. 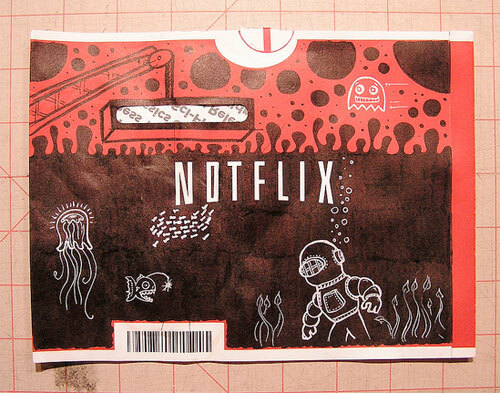 Netflex uses creative art on their envelopes as an easy identifier. Differentiate. · Billboards that standout. Being memorable is key for these as you only have a few seconds to communicate your message. Here are some innovative ideas. · Standout with call-to-action campaigns. A national accounting firm had a great way to get in the door with key CFOs. Through an innovative targeting approach, they selected a handful of companies they wanted to have as clients. They researched who the CFO was and what his/her shoe size was. They sent the CFO one shoe (of an expensive, well-known shoe brand). To get the other shoe, all the CFO had to do is take a 1-hour meeting with the firm. It got the firm in the door every time. Be different when targeting your potential customers. 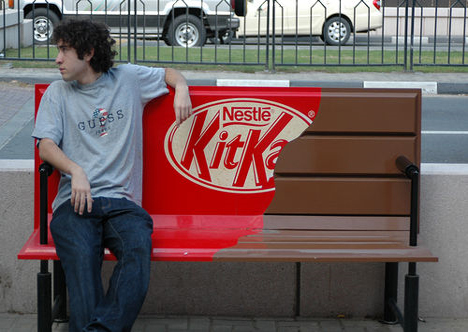 · Bench Marketing: Kit-Kat not only advertises via televised media, they hit major cities with bench advertising. See more. In the end it is knowing your target and what will appeal to them. Then, it’s time to be creative and stand out in a competitive market.